» Could someone help me get a CDE theme in Q4OS? Could someone help me get a CDE theme in Q4OS? Hello, I am very new to Linux, Q4OS is the first distro I've installed full-on vs just testing the live version. I'm running it on an old Asus Eee-PC and it's honestly running better now that it did when it was brand new. 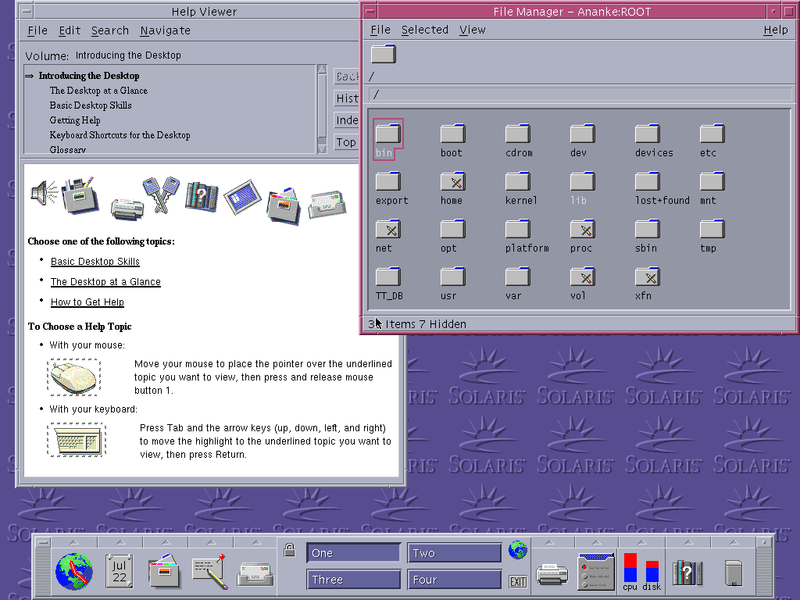 Now, I got XPQ4 installed and while I'm quite content with the classic Win 95/98 themes, I was wondering if anyone has gotten a CDE type theme to work in Q4OS? Re: Could someone help me get a CDE theme in Q4OS? Your best bet would be to use altdeski command to install XFCE (back in the day this was very close to the old CDE environment). There are a number of CDE look alike themes on opendesktop.org and xfce-look. Just search for xfce cde theme. I thank you for your reply but must ask that you be much more specific. I've mentioned that I'm a complete noob to Linux so "use altdeski command to install XFCE" is more than a little bit vague to me. I'm not asking how to kinda maybe sorta get close to maybe kinda getting that theme, but more so how to jump straight into that theme, on account of I don't know the specifics of the steps in between to arriving there. Sorry if I sound rude. I really am that ignorant. I've heard FVWM comes with CDE themes, but in my attempt to install them it has not been immediately apparent how to arrive at a CDE theme while using Q4OS. However, if you are looking for instant drop in no effort one click access to a perfect clone of CDE then I am sorry because that is very unlikely. However, a look-a-like is possible with some effort - provided you are prepared to make mistakes, put in some effort and learn along the way. Type altdeski and press return or enter - follow the prompt on screen to install XFCE. Reboot and log in to XFCE you may need to pick the XFCE session from the TDM login. You'll get the default XFCE desktop. Any CDE theme for XFCE will change the colours, icons, window controls because that's all it can change. You won't get the old pop out drawers of CDE - I loved those when I was using Solaris and also in the early XFCE days - but it will LOOK a bit like it. Installing xfwm4-themes will add a bit more variety but many will look rough due to gtk changes. There is a sort of CDE style in Trinity but again it is just cosmetics. Once you've learned to drive XFCE you can look at the various CDE styles and themes that are out there - search for xfce CDE theme. Playing with those will help you learn where the files that make this stuff work live, and how to deploy them. Remember that some will be old and may not work with XFCE4. I do recall that there was some sort of distro released a few years back with a CDE interface but it didn't make it - around the time the code was open sourced so 2011 ish?? ?